Continuing the theme of gins available in the Spanish market and with Advent starting tomorrow, it seemed that a gin with a suitable colour scheme would be appropriate. Gin 999.9 is made in Alsace, France. It is based on a recipe from the 20th Century and is produced in a still made from gold. Gold is a better thermal conductor than copper, so that makes some sense, but it is also much softer, not to mention far more expensive. The gin is bottled at 40.0% ABV and is made using botanicals including: juniper, coriander, angelica, cassia, vanilla, tangerine, poppy, and violet. Nose: Bright orange: hints of peel, orange oil, and orange blossom. There’s a little tanginess, too, plus some sweetness and a little mustiness. Taste: On the palate, there is a more balanced sweetness and plenty of orange notes, along with some chocolate. It really is packed full of citrus, though, with notes of lemon, orange, and clementine. 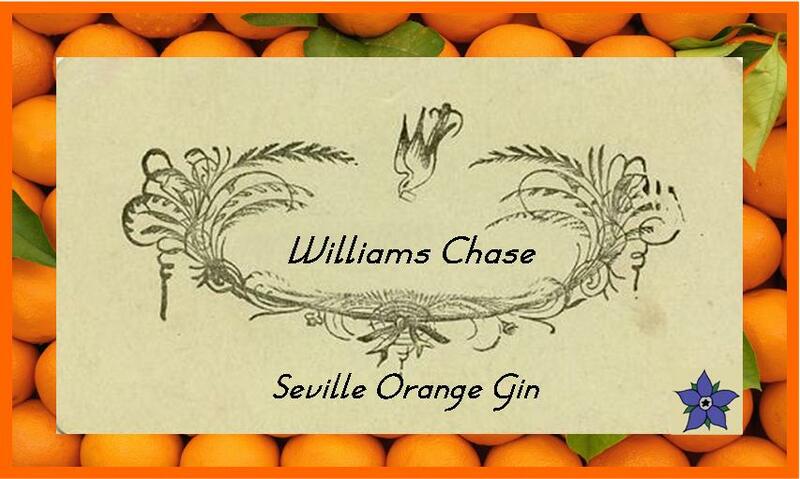 It is reminiscent of the orange gins of old, with additional hints of dry juniper and angelica on the finish. Strong flavours of menthol pepper come through, with hints of bitterness. This is very strong and may be too much for some, but the oiliness and intense bitterness may appeal to Negroni fans. Sweet and incredibly citrusy, with bold flavours of tangy orange. This reminds me of Martinis made with vintage examples of Orange Gin. This isn’t a terrible drink, but – bizarrely, given the bitterness of the Gin & Tonic – it is one of the sweetness Negronis that I have ever had. It’s flavour profile is dominated by citrus, reminding me a tad of Negroni sorbet. Those looking for a Classic London Dry Gin should look elsewhere; this gin, whilst a nice product, is rather sweet and heavy on the citrus, reminding me of a dry triple sec. That said it did work well in the Martini. Earlier this year, I wrote about orange gin, a long-lost cocktail ingredient made by Gordon’s (amongst others). I even had a go at [making my own recreation]. At one time, flavoured gins were all the rage, from common flavours such as orange and lemon, to the more outlandish and whacky likes of maple, celery and even asparagus! The last orange gins were snuffed out in the 1990s, with Beefeater and Bloomsbury being among the last to go, although it is still possible to buy bottle of Bloomsbury for a pretty reasonable price. As a result, I was pretty excited to see a bottle of the new Chase Orange Gin on a recent trip to Graphic Bar, whose gin selection is the biggest in London, if not the UK. 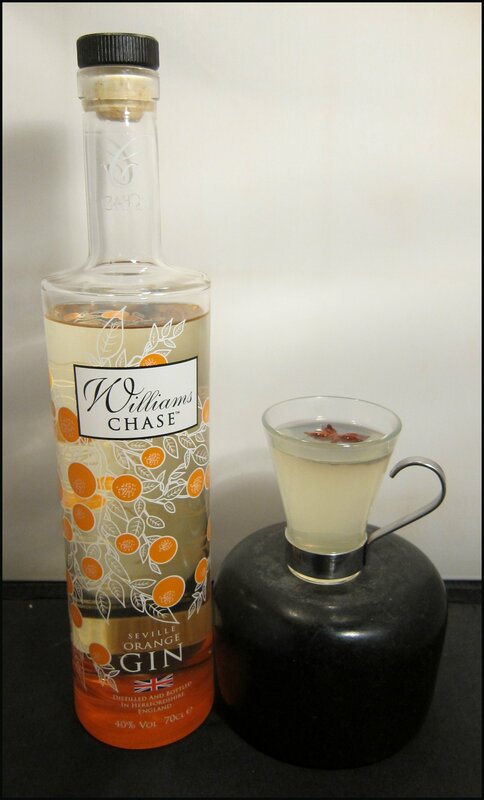 Although made differently, the Orange Gin follows on from Chase’s success with their Marmalade Vodka. The difference between the two is that the vodka is distilled with orange peel, whereas the gin is infused with orange peel after distillation; this maturation time is determined by taste (tested every half hour) and can vary from 8 to 24 hours. Lovely – the dryness of the gin and the bitterness of the tonic are laced with the deep, jammy and slightly sweet flavour of seville orange peel (or marmalade, if you prefer). No garnish is needed for this tasty drink, which would be such a treat for summer. Outstanding. Excellent – lots of zesty orange a touch of fragrance and a hint of spice. This is very crisp and very, very tasty and, unlike many other orange gins, Chase Seville Orange is not too sweet, which makes it a good fit in a Dry Martini. This is a really nice Negroni. The gin shines through with, obviously, plenty of orange, but the marmalade aspects of the gin are somewhat subdued. Balanced and not too bitter, this has a rather charming, chocolatey finish. This produces a Negroni that’s a little bit different and performs that difficult feat of both converting some anti-Negroni folks (Mrs. B liked it) and pleasing traditionalists. This drink is full of flavour, with the orange marmalade notes shining through. There are also great herbal notes, with a dry, juniper finish. Raising to the appetite, this could be the perfect drink to impress arriving guests with before dinner. I also decided to try it out in a couple of classic Orange Gin recipes. Dryer than a usual Comet, but just as tasty, this is clean, crisp and another excellent pre-dinner drink. The orange notes of the Lillet complement the orange in the gin well. This is probably THE Orange Gin cocktail (if there is such a thing); a simple and short drink. With Chase Seville, the drinks is crisp yet with some berry sweetness and a spicy note a nice sipper as an after dinner tipple. Ginger upfront, followed by zesty, jammy notes of orange. 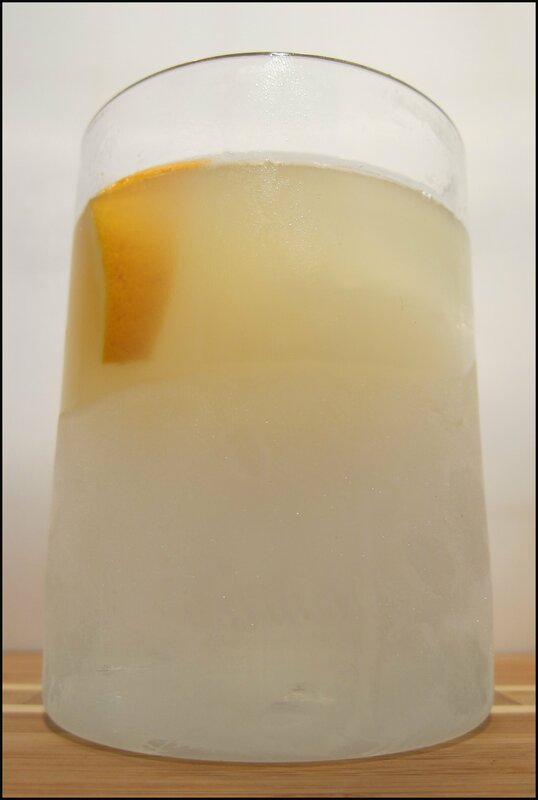 There’s a dash of ginger wine or ginger liqueur, which makes it more warming without taking away the citric refreshment. Rather good, with a good amount of juniper, too. This is a warming and comforting drink. It is important to not overdo the lemon juice, as there is a obviously a fair amount of orange from the gin. You can also get creative with the garnish: I used star anise, but a sprinkle of cinnamon powder, some cloves or orange would do just as well. Crisp and zesty, with tangy orange and sweet elderflower notes, all signing off with a pleasantly tart finish. There’s a little bit of floral, too, making this quite light and refreshing, just like Spring. This is lovely; very, very crisp and clean. The flavour is of the gin initially, followed by the rich, sweet orange notes. This is a short drink, but bursting with freshness. It would make a lovely, late afternoon drink to enjoy outside. I think I’ve demonstrated the excellent versatility of the Chase Seville Orange Gin, using it in drinks from crisp coolers to winter warmers. Having a little experience with the orange gins of old, I think that this product brings the idea bang up-to-date and – importantly – gives people the choice to add extra sugar or not. The lack of sugar is also a sign of the quality of distillation and a note of distinction between spirits in the 21st Century, compared to those of the early 20th Century.